Are facials really, truly important when it comes to treating acne? 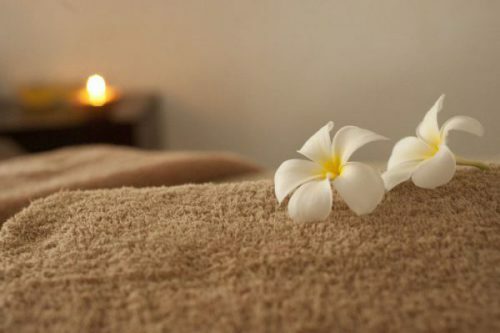 Isn’t it really just a treat when you want to relax and pamper yourself? Did you know in Europe, women get facials every week? Yes, they are THAT serious + committed about skin care overseas – and if you have acne, you should definitely learn the importance of getting regular facials. Finding an esthetician who understands your skin needs + achieiving a complexion that receives proper care, which shows hydration, clarity & uplifted facial skin are just a few major points that you want from a GOOD esthetician, who isn’t always easy to find. How Can Facials Help if I have Acne? Isn’t Acne an Internal Problem? Let’s talk skin care 101! Facials that specifically target acneic skin can go a long way to a healthier, smoother, and clearer complexion by implementiation of certain steps that a well-trained and knowledgeable esthetician can provide. Skin needs to be cleaned professionally to clear trapped dirt, bacteria, and clogged pores so it can breathe as opposed to be continually harboring bacteria and be suffocated. Four popular treatment options are available that are most sought out among those suffering from acne. Keep in mind this isn’t just for the ladies- more and more gents nowadays seek estheticians advise how clear up and keep skin healthy and blemish free. Most individuals who suffer from acne have blackheads (blackheads develop where the blocked oil and skin cells oxidize, turning black) and whiteheads that need to be extracted in order to relieve face or other parts of the body from clogged and trapped oils. Proper extraction brings oxygen to pores, so they can breathe, thus decreasing bacteria to be clogged in the skin. Extraction is done by two methods – after cleansing skin and steaming the area to loosen blackheads. First method: a specific tool- tiny needle that gets all the trapped blackheads out. Same method applies for whiteheads. Second method: esthetician will extract both black & whiteheads by hand- this is usually the more painful route because s/he will apply pressure around each pore to get the contents out. 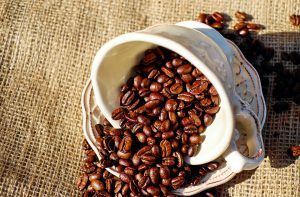 What does extraction do besides clear out clogged pores? As stated previously, the extraction process brings oxygen to your face because once those pores are unclogged, you’ll have new + fresh skin underneath that will breathe easier. RESULT: Skin is healthier, clearer and cleaner. Skin stays clearer longer from blemishes because it’s not congested. This is pretty much a staple at most spas and salons. Acne facial is a combination of few procedures that includes cleansing, steam, extraction and a mask based on skin type and level of acne. If you find an esthetician who knows what s/he’s doing, then your skin will be left clearer and happy! Acne facials are always on the menu, but doesn’t translate that the products used will suit your skin needs- or the esthetician is knowledgeable. This is why I highly advise to do your research before hitting those cheapy online deals. This is where it gets pricey but well worth the extra $$, especially if you have an important event to attend the next day – procedure works fast and delivers beautiful results. Microderm consists of a metal wand that sprays tiny crystals onto the skin to gently remove the outer layer. It’s a noninvasive, skin resurfacing procedure that gently exfoliates the top layer of skin (dead skin cells) – while stimulating collagen growth, reveals healthy, fresh skin that looks and feels silky smooth. It’s an excellent procedure for acne scarring and blemishes because it resurfaces the top layer while the wand goes over the skin’s surface. It is a bit painful depending on how many passes are done- depending on esthetician, but it’s usually one. Neck and décolleté areas are usually extra charges. RESULT: Instant results -visibly smoother complexion; blemishes are visibly diminished; makeup applies like butter the following day. To keep up the results, a series of treatments are recommended + upkeep. So many peels for acneic skin are on the market these days, especially in med spas and esthetician practices- but they do produce impressive results if “the” right peel, specific to your skin type is applied. Some of the more popular peels for acne are; glycolic, salicylic, fruit peels (pumpkin, cranberry, etc. ), enzyme and TCA chemical. **Skin types: Just because skin type is labeled “acne-prone,” doesn’t mean that that’s the only thing an esthetician will go on. A well-trained esthetician will examine if your skin is dry, oily, very oily, or combo. This is how s/he will know what type of “peel” and certain procedures to perform on your skin. What do peels do? For the most part, peels clarify your skin and bring new and fresh skin to surface. Peels do exactly as the name states- the next day or few days after the treatment, your skin will start peeling/flaking. This is good because cell regeneration is taking place, so the “new” skin after the peeling and flaking is progressing (can take up to a week). New complexion will be smoother and acne scarring/hyperpigmentation will be diminished. Please note, NOT all peels will produce a “flaking” effect on the skin. This does not mean that the peel isn’t working – just translates that its a gentler type. After you have a facial or skin cleansing/extraction, a peel will be layered on your face for approx. 1 to 5 minutes, depending on the strength. Peels usually sting – there’s some light pain involved, but since it lasts for a brief period of time, it’s really no biggie! Sometimes a warm steam (from a steaming machine/device) will be on to keep the peel penetrating deeper into your pores. RESULT: Smoother, clearer complexion with less visible hyperpigmentation and scarring. However, series of peels must be done to achieve optimal results. Always do you research before making that appointment to see if the esthetician is in fact well trained and experienced, per your skin concern (whether you have acne, hyper pigmentation, aging skin, etc.) because facials (good or bad) cost a pretty penny! Some estheticians are more experienced in other areas that the one you may be seeking. So again, do your research! Many peeps complain that acne facials and other cosmetic treatment options are a waste of money, but to be fair, they do perform and results ARE worth the $$, if the esthetician KNOWS her stuff! Unfortunately, a well trained esthetician is tough to find, and I totally sympathize the frustration of spending all that money and not seeing any improvement. 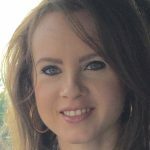 Specifically, finding someone that is well trained in acne is challenging – I was a guinea pig for estheticians for a while until I stumbled upon my lovely, one and only esthetician! After any effective treatment and/or a facial- your skin SHOULD NOT be bright red- skin should be lightly pink. Some women who don’t have acne will come out of a spa after just a regular facial and peel with a beet looking face! This is not a standard! This means that harsh topicals were used and skin is reacting to all the chemicals. Unless you’re getting a chemical peel or microdermabrasion, then yes, your skin will show signs of quite a bit or a lot of redness. However, if your skin is highly acneic, then it could be a lot redder after a facial treatment due to extraction. If your skin starts to break out with tiny, small zits- not to worry, this means that your skin is just purging, and those pesky, little ones will be gone in a day or two. If, on the other hand, your skin breaks out in a rash or bigger, painful (cystic type) pimples, then I wouldn’t suggest seeing that esthetician again. There’s a significant difference between purging and irritation. If your skin becomes irritated- it’s usually because of either two factors: Skin care products used were not a good match to your skin type. Or the esthetician didn’t use clean, sterilized equipment on your skin. 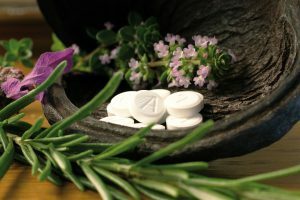 Since, this site is all about holistic and natural remedies concerning acne, I will state that it’s important to look for a holistic esthetician in your area. What Does a Holistic Esthetician do Differently? For starters, they utilize only organic/toxic-free skin care products that don’t contain some of the “dirty” ingredients such as parabens, phthalates, BHA/BHT, perfumes/fragrances, PEG’s, triclosan, DEA’s, SLS’s, etc. 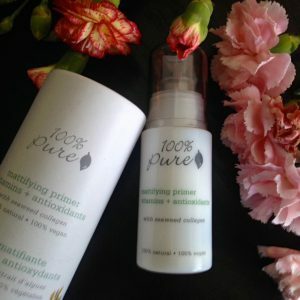 If you’re suffering from inflamed skin with acne or other skin conditions such as rosacea, eczema, or clogged skin, then please understand that “**regular” skin care products cannot keep your skin from getting better and will clog it up or irritate to a higher redness level all over again with their chemicals. **Regular skin care products, meaning mainstream – not natural, organic, non-toxic, herbal brands, which is what I advocate for skin health – especially acne-prone. I’m also huge on DIY skin care products – stay tuned on these posts coming up in the future! 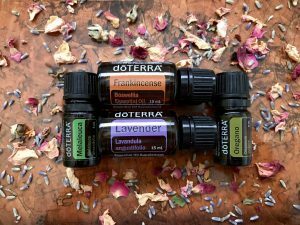 You need gentle, calming, yet effective natural skin care products that will nourish and calm the redness and inflammation that consist of herbs, essential oils, and beautiful botanicals. 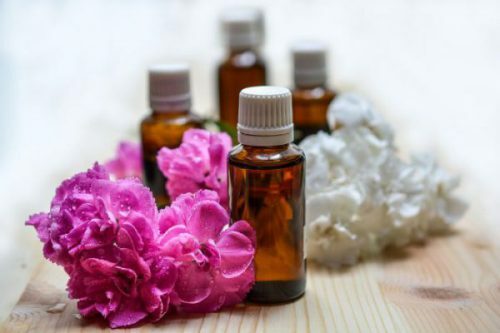 Some holistic estheticians will use aromatherapy for a soothing and mind calming atmosphere, and others will use natural, 100 percent pure essential oils in addition to their skin care products for an ultimate punch/ powerhouse to produce results that your skin thirsts for. In addition, jade stones and rose quartz (facial roller) may be used to perfectly balance and center your inner being and mind. How is this for acne? Being relaxed + centered, calms your mind and de-stresses, which is essential for clear skin. Having an esthetician use aromatherapy and natural, earth living facial products is a really peaceful and truly delicious experience – the way it should be! Senses will be heightened and skin transformed to a glowy and radiant complexion! Don’t we all want to feel comforted and taken care of like an A-List movie star, all while receiving the best in the beauty? Oh and another important note- most holistic estheticians have a good knowledge of supplements and diet, which they can advise to ensure your skin receives all the proper care it needs to produce excellent results in the long run. Okay, so what if there’s no holistic esthetician in my area? No problem- just look for one that uses at the least ALL paraben-free skin care. Parabens are hormone disruptors, which have been found in cancer cells of patients. They are used in many cosmetic products for preserving the items for shelf life. This shouldn’t be difficult since many estheticians are going the natural route due to customer demands in this day and age. More and more women are becoming conscious of importance what natural skin products can do. You don’t want all those toxins streaming and clogging through your fragile facial skin. Please always keep in mind, what we put on our skin gets absorbed in our bloodstream. If we’re using products with a LONG ingredient list of things we can’t even pronounce, then geese, do you really think that’s not going into your vital organs? 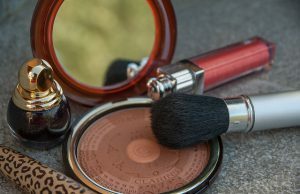 Would you rather use skin care/makeup with an ingredient list that you can understand and see the potential benefits from or would you jump in blindly per the “unknown” and questionable ingredients? Unfortunately, most women simply don’t know the harm that mainstream, chemical, toxin laden cosmetics bring. If its sold at a store, it must be safe, right? Hmm…not so much! Once you start researching all the weird and truly unnecessary ingredients, you’ll soon realize that they bring more harm than good. Luckily, many local big brand department stores are slowly introducing “green” and all-natural brands, so there shouldn’t be a reason not to convert to healthy alternatives. Did you know that scheduling a facial just once a month or every other month can keep your skin from premature aging? 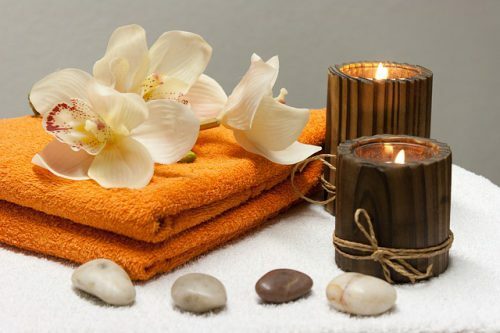 Body massages keep your body taut and uplifted, so to speak. Same goes for a good facial with a massage, of course! Your face is being exposed to certain motions by the hands of an esthetician that keeps your facial skin from sagging in the long run, hence, premature aging. Yes, it gets expensive especially if regular facial appointments are not in your budget, but trying to sneak in a good facial when you are able, is a good place to start. The only gripe- find an esthetician who is extremely well trained in acneic skin and see if you witness results after the first appointment. Even if only slight results are visible – any improvement should be seen – smoother texture, clearer pores, less inflammation, and overall balanced complexion. To wrap things up- getting regular, monthly facials can most definitely keep your skin in check- blemish-free and clear with minimal scarring and a smooth, fabulous canvas! However, regular scheduled facials are not a permanent solution to completely eliminate acne. 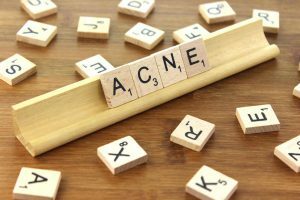 Acne is an internal issue for most. Some women/men see an amazing improvement with their skin and acne reduction after a couple of monthly facial treatments. But these individuals probably suffered with acne due to external issues- pore clogging skin care, makeup, pollution in or around workplace/school, etc. – all external factors. If your acne is related to hormonal imbalance (lots of persistent cystic acne for many years), then other issues need resolving- diet and food allergen solutions are your best bet to a beautiful, acne free complexion. Getting routine facial treatments can give you a boost in confidence when you are need of clearer skin (important events) – although, the results last for a couple days to a week – various treatments discussed such as microderm and peels will produce faster results by eliminating hyper pigmentation and spots left over from acne picking. If you reside in Los Angeles area here in Cali- I can suggest an amazing esthetician that will work magic and beautify your skin! I’ve been going to Iliana for years and because of her expertise and valuable knowledge, I’m finally acne free! She’s highly professional (20+ years in the biz), sweet, caring and most importantly, if you listen and follow her instructions, you WILL see immediate results! 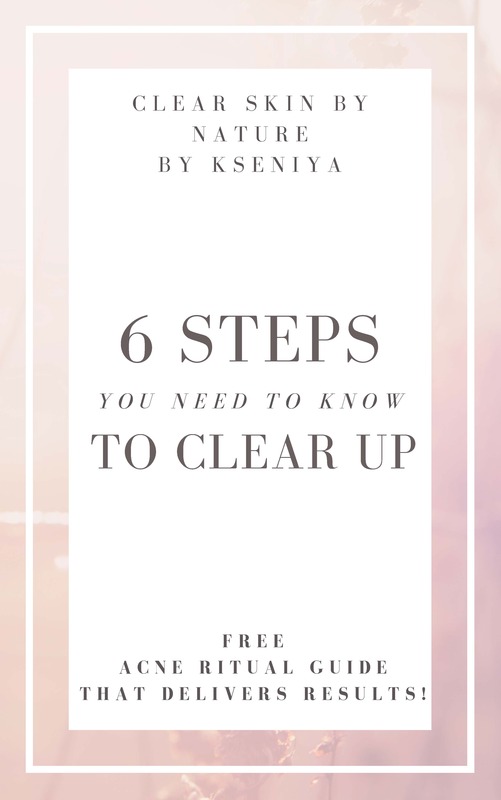 She has worked with hundreds, if not thousands of acne sufferers ranging from all ages (from teens to adults beyond their forties with acne) with amazing success! Mention my name and my website for 15% off your first appointment! Have you discovered the power in regular, routine facials? Tell me your experience – share in the comments below!